But sadly it was to no avail and, as is so often the case these days, the pub ditched live jazz in favour of canned music and discos. 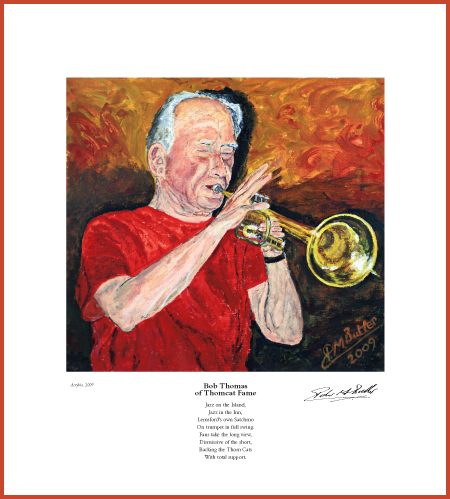 Fine Art Print of the Jazz Portrait of Bob Thomas of Thomcat Fame. 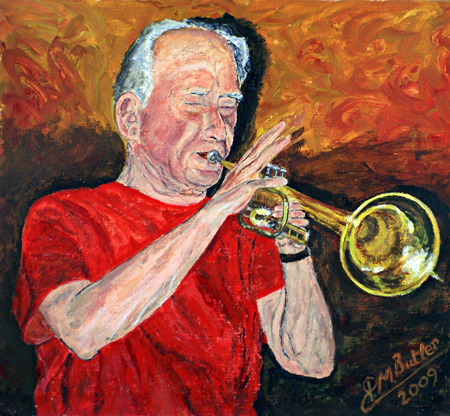 On trumpet in full swing. Read more about Bob Thomas & The Thomcats and my interview Bob Thomas.